If you like bicycling and you want to feel more comfortable and be safer you can take Smart Cycling courses. 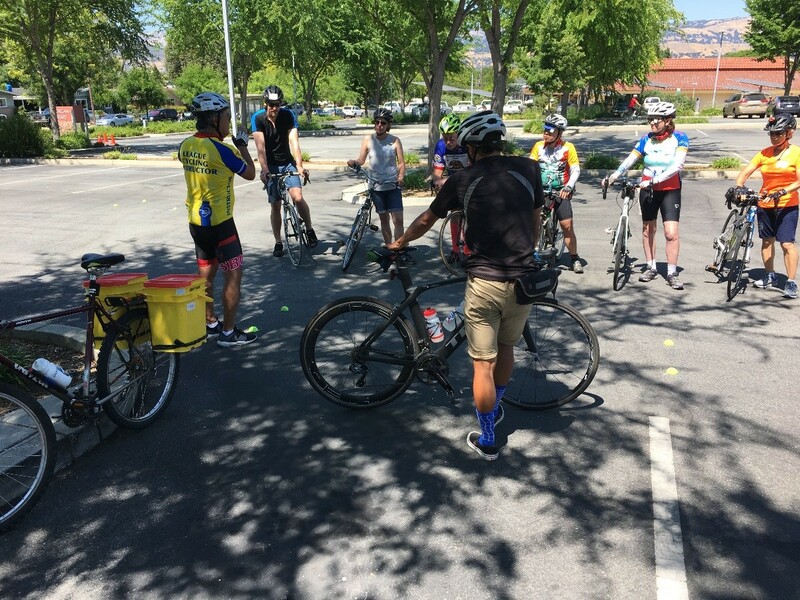 During spring and summer 2018, VTA & County Public Health Department offered a series of in-class and on-bike Smart Cycling training. Currently, there are no courses scheduled but if you would like to take a course in the future you may add yourself to the waiting list to be notified when new courses are available. Learn skills that help bicyclists and car drivers safely share our roadways. The training will cover safe bicycling, basic bicycle maintenance, Rules of the Road, bicycle commuting, and more! All participants must be high school age or older. The 4-hour in-class training session is an interactive workshop with presentations that cover all the bicycling knowledge you need. Have a bicycle and helmet which you bring with you to the class. Bicycle gloves are recommended but not required. If you attend and pass both sessions you receive a League of American Bicyclists Smart Cycling certificate. You may take the in-class session on its own and it will make you a safer bicyclist and driver, but to take the on-bike session you must complete the in-class session first. Taking both is highly recommended and is also excellent preparation before getting a driver’s license. Do you need on-site or in-school bicycle training? 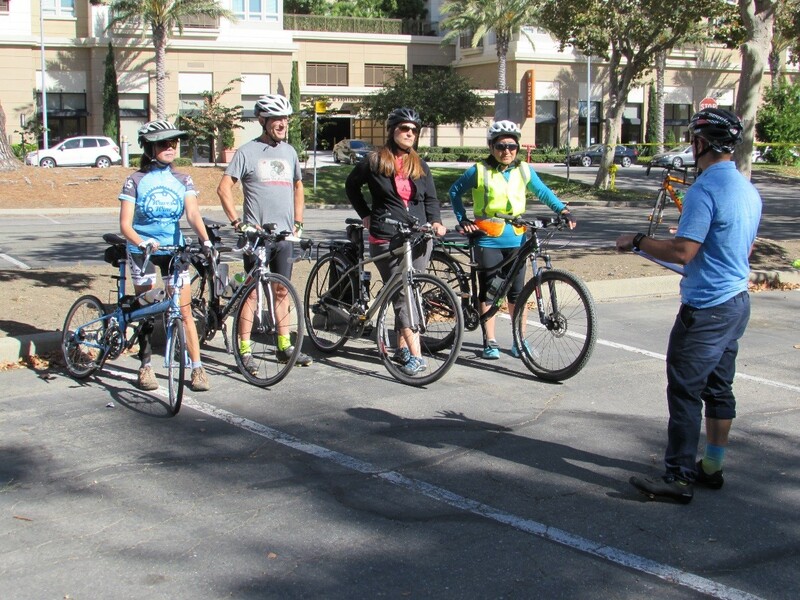 There are many certified League Cycling Instructors (LCI’s) in Santa Clara County who may be hired to do on-site, in-school, and other custom bicycle training classes. If you would like to contact one or more of them directly, visit the League of American Bicyclists Directory and click on the League Cycling Instructors list to find all of the instructors near you. You may also send an email to VTA’s Bicycle Program bikes@vta.org. Staff will relay your need to our most recently trained local LCIs and/or direct you to other resources that may be of assistance. Do you love working with kids? Are you a competent bicyclist who wants to teach others how to bicycle safely in your community? Do you love demonstrating and speaking in public? Did you have a great time completing the Smart Cycling course? Then please sign up to become a certified League Cycling Instructor! What is a League Cycling Instructor? Learn more about how to become a League Cycling Instructor. Be enthusiastic about supporting and teaching safe bicycling. Have a flexible schedule which will allow teaching during school hours to support Safe Routes to School programs. Be comfortable speaking before groups. Be a Santa Clara County resident or demonstrate familiarity with or ability to support Santa Clara County communities. Successfully complete the LCI Seminar prerequisites, which consist of a Smart Cycling Course (four hours of online or classroom AND five hours of on-bike training and a passing grade on the examination). Bilingual candidates are especially encouraged to apply. The LCI Seminar consists of 24 hours of instruction both in-class and on-bike over the course of 3 days. Completion of Smart Cycling is a prerequisite for enrollment in the LCI seminar. League of American Bicyclists (LAB) requires all LCI’s to be members of the League. All participants must be 18 or older due to LAB’s insurance policy. VTA offered two LCI seminars in summer 2018 at VTA’s River Oaks office. No LCI courses are scheduled at this time in Santa Clara County but they will likely be offered again in the future. Please add your name to the Santa Clara County LCI Seminar Waiting List if you would like to be notified of future local seminars. If you are willing to travel elsewhere in the US, see the League of American Bicyclists LCI Seminar schedule.